The Party Registration Program is intended solely as a cooperative effort between the City of Clemson and the Clemson City Police Department (CCPD) to reduce the negative consequences of excessive noise and other nuisance incidents associated with parties in residential neighborhoods. The purpose of the Party Registration Program is to provide party hosts and party attendees with an opportunity to receive a telephone warning and voluntarily terminate a party in the case of excessive noise or to voluntarily handle other nuisance activities after a complaint has been received by the CCPD. Party Registration does not guarantee that a municipal and / or State summons will not be issued and the Registrant understands that the police may respond at any time to any party where there is a complaint of criminal conduct. Party Registration does not limit in any manner the authority of the police to respond to a party for any reason whatsoever without previously providing a warning. The CCPD will use reasonable efforts to contact the party Registrant and provide a warning when appropriate. However, the Registrant acknowledges that a warning call is not guaranteed under this program. Furthermore, the warning and termination of a party is only available for no more than three (3) times per party registration – additional noise or nuisance complaints subsequent to a warning telephone call will not receive the benefit of an additional warning call on the same date and time in question; and are subject to enforcement action(s). The City of Clemson and the CCPD neither condone nor sponsor any party which has been registered with the Party Registration Program. Participation in the Party Registration Program does not constitute approval of any such party or related activities by the City of Clemson or the CCPD. Voluntary participation in the Party Registration Program simply shows the party host(s) is trying to be responsible and understand the consequences that could fall therein. The City of Clemson and the CCPD are not liable for the conduct or actions of any guests, hosts, or individuals associated with a party registered with the Party Registration Program. Participation in the Party Registration Program does not guarantee that the host(s) or attendees of the registered party will be relieved of any legal consequences arising from any conduct or actions associated with the party. 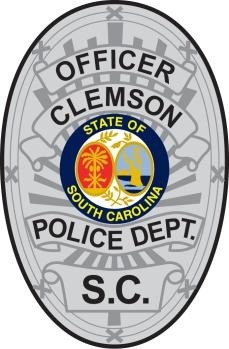 The City of Clemson and the CCPD shall not be liable for damages to property or injuries to or death of any person or persons arising from a party which has been registered with the Party Registration Program. Hosts who are registering a party with the Party Registration Program are highly encouraged to visit with CCPD officials for informational resources regarding hosting a safe party. Party host(s) and party attendees are responsible for complying with federal, state and local laws, including but not limited to paying any fines or fulfilling and legal obligations that may arise as result of enforcement actions. Party Registration materials should never be used as a substitute for individualized counseling or legal advice from a qualified professional. Information contained in Party Registration materials does not constitute legal advice. Note that laws and ordinances discussed can change or be amended due to subsequent court decisions, legislation or ordinances. ► Your registration is only valid on the date listed on the form and to the address listed on the form. ► Registered host must live at the address being registered for the party. ► All party registrations must be completed no later than noon and at a minimum of two days prior to the party date. ► Registered parties will ONLY receive one telephone warning on the date of the event; subsequent complaints at the same location will necessitate police response. ► No location will receive more than three (3) telephone warning calls beginning August 1st and extending through July 31st. ► Following the third telephone warning, law enforcement will respond without the notification of a telephone warning. ► Criminal or Municipal violations other than noise or parking issues can result in police being dispatched immediately without a telephone warning. These violations can include, but are not limited to: fighting, public urination, reckless driving as persons are leaving the location, persons leaving the location with open alcohol. ► The registered “sober monitor(s)” must available to answer your phone at all times during the party; you will only be called once. You must be on or near the property at all times and willing to shut down the party if you receive a warning call in reference to a noise complaint. In the event you or the second contact does not answer the phone police will be dispatched to the location of the party. If you are told during the telephone warning to shut the party down, you will be given twenty (20) minutes to comply. Not hearing your phone will be no excuse for why you did not break up the party when the police arrive or when talking to the judge. ► The secondary contact will only be called once in the event you do not answer your phone as the primary contact person. ► Shutting down your party means that everyone but the people who live in the registered address leave the party and do not return for the remainder of the evening/morning. The party may not start again. If the party is reconvened, another warning will not be provided. A police officer will be dispatched to the address upon receiving the complaint. ► Your party registration will be provided to the on duty CCPD patrol supervisor or officer of the day. The CCPD dispatch will be provided with the address(es) of registered party(s) and upon receipt of a complaint will notify the supervisor to make the telephone warning call. ♦ Trash – Cleaning up after your party is a must to ensure that you do not receive a trash violation. Picking up the yard and the street area is the best way to make sure your trash does not blow around the neighborhood and become a problem for your neighbors. ♦ Fake ID’s - Possession or use of a fake identification card results in a fine and a loss of your driver’s license for a period of ninety (90) days. ♦ Open Containers – It is unlawful to have open containers of alcohol in a motor vehicle or anywhere within the City Limits of Clemson; including common areas of apartment complexes. This includes taking a mixed drink or beer and having it in a “solo” type cup. ♦ Swimming – Swimming in any residential apartment complex pool is prohibited from 11:00pm until 7:00am, unless a certified lifeguard is on duty. ♦ Minor In Possession (MIP) – It is unlawful for any person under the age of 21 to POSSESS beer, wine or liquor. Too often individuals think it is okay as long as you are not drinking an alcoholic beverage and are not 21 years old, this absolutely FALSE. A conviction results in a fine and the loss of your driver’s license for ninety (90) days. ♦ Transfer of Alcohol – It is unlawful for any person to sell or transfer any alcoholic beverage to a person under the age of 21. ♦ Disorderly Conduct - Person in a public area exercising loud/profane language are in violation of the Clemson City Disorderly Conduct Ordinance. Persons urinating within any public area are in violation of the City Disorderly Conduct Ordinance and or the State Statute of Indecent Exposure. ♦ Hindering Law Enforcement – It is unlawful to hinder / try to prevent any police officer in the discharge of the officer’s duties. ♦ Public Drunk – It is unlawful to appear on any street, sidewalk, or public area of the City of Clemson under the influence of alcohol or drugs. The above mentioned laws and ordinances are only a few but are the most common violations observed by persons attending party. As the party host you need to be vigilant of these violations and take every precaution necessary to prevent violations from occurring. If you have read and understand all of the above documentation, please fillout and submit the Party Registration Form below. Please select the current semester and current year below. The "Registrant" is the individual filling out this form. Please enter the location of the party being registered. Please enter the date, start and finish time of the party you are registering. Please enter the Primary and Secondary Contact information for this party below. Also known as "sober monitor(s)". Please select yes or no below indicating you (the "Registrant") reside at the location you are registering for this party. Please type your name in the "Signature of Registrant" field below. This field will be used as your signature certifies all information in the above party registration form is true and accurate information. The "Signature of Registrant" also certifies you have read, agree to, and understand the above Clemson City Police Party Registration Program guidelines, rules, and regulations.